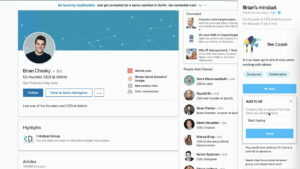 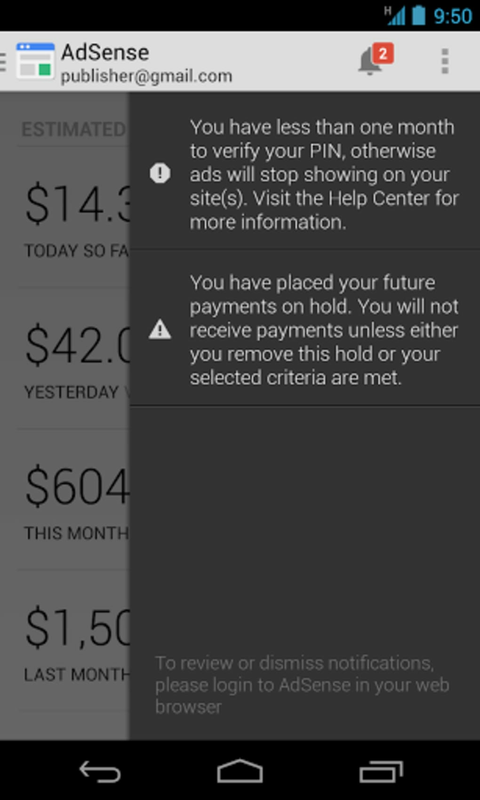 Google AdSense is Google's service for publishing targeted ads on websites. 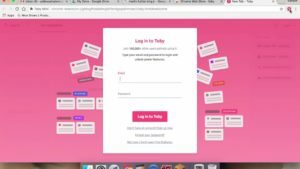 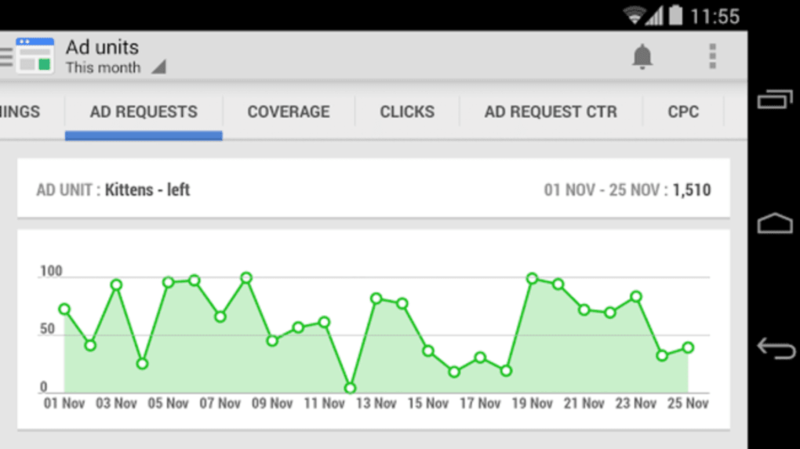 With its Android app, you can instantly view data on your Android device from websites that you use Google AdSense to manage. 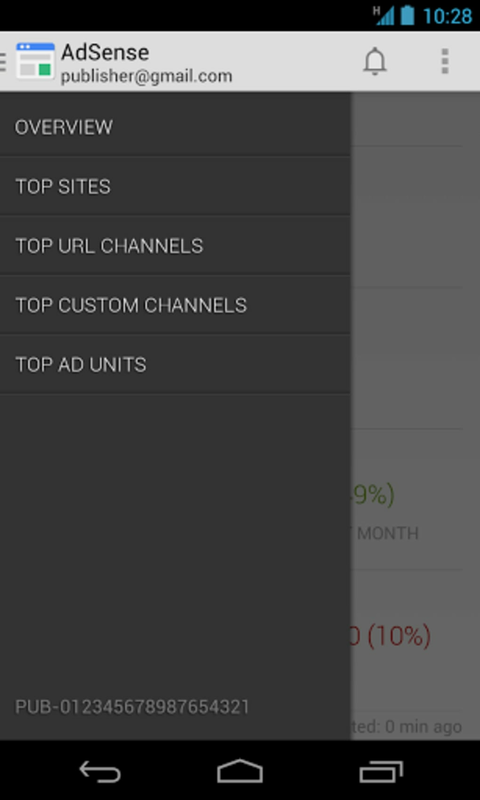 A full version app for Android, by Herocraft Ltd..
A full version app for Android, by HQ Devs. 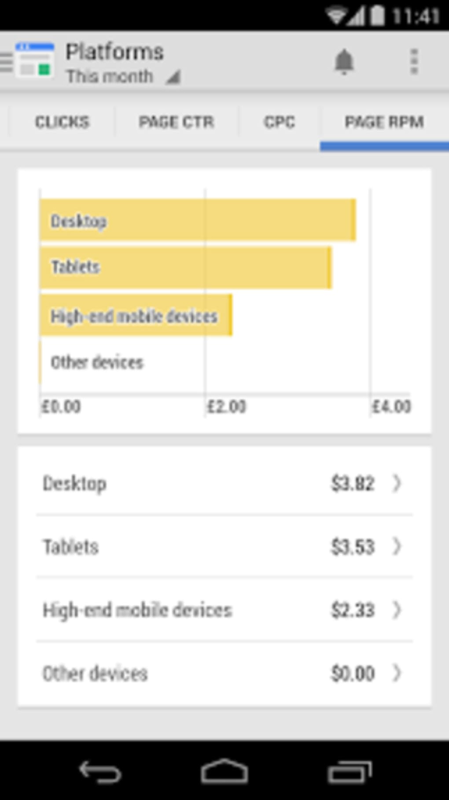 Google AdSense for Android's primary use is to access revenue data generated on your blog or website. 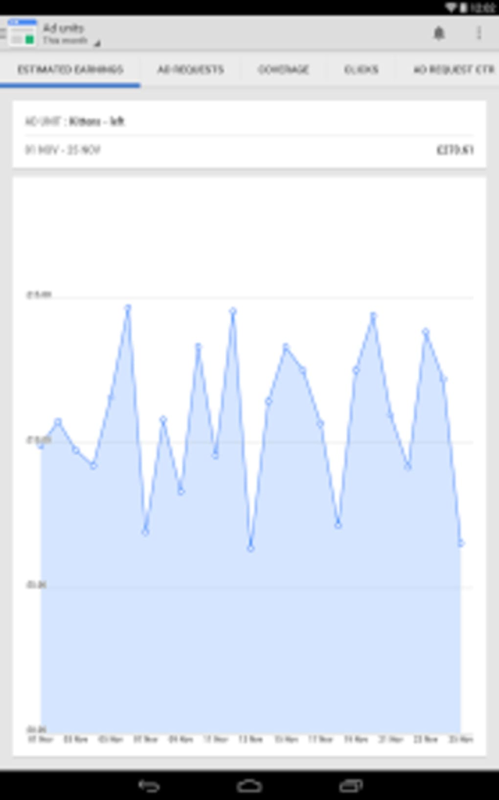 The data refresh rate is customizable and can be refreshed as often as every 5 minutes. 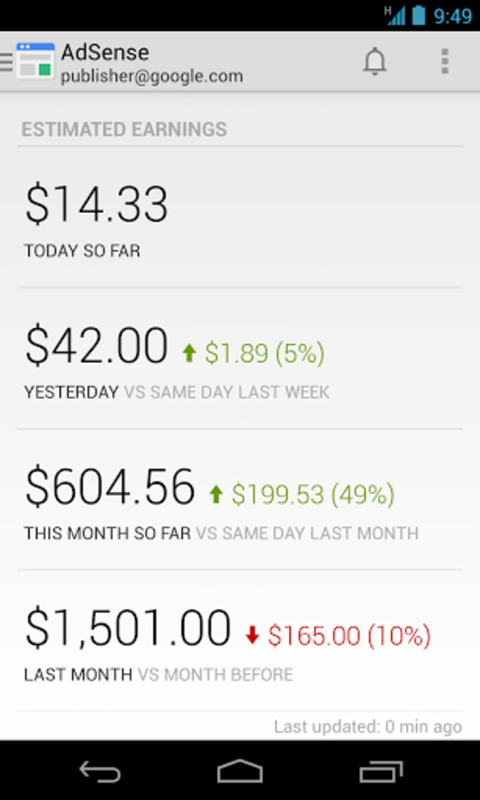 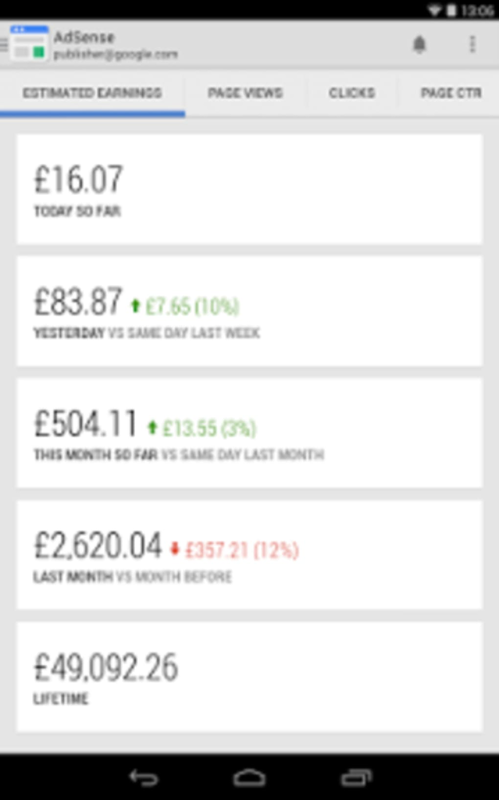 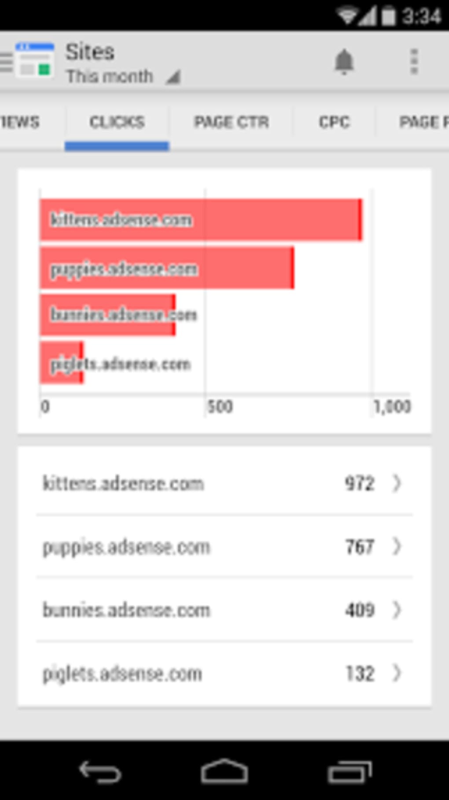 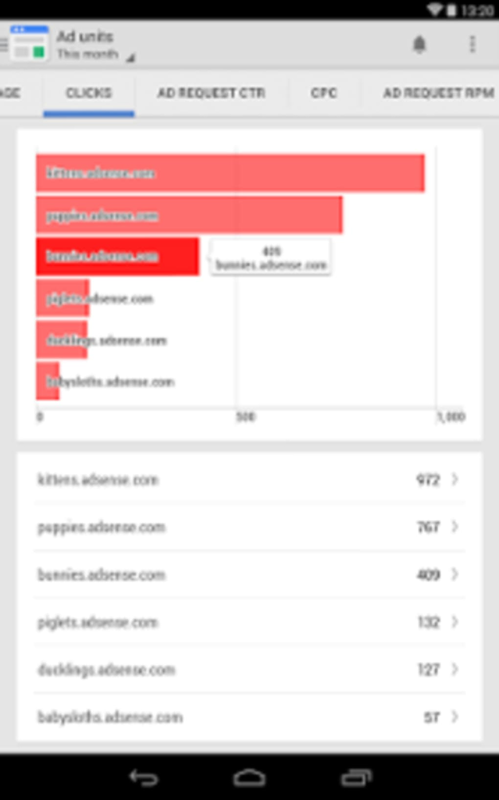 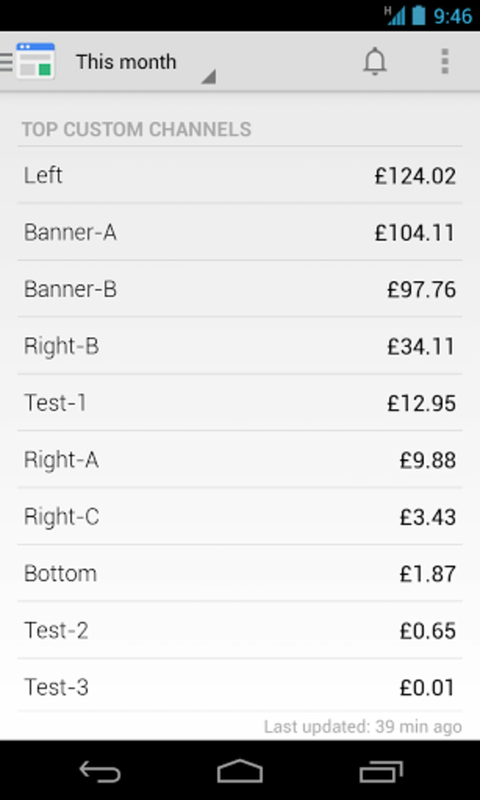 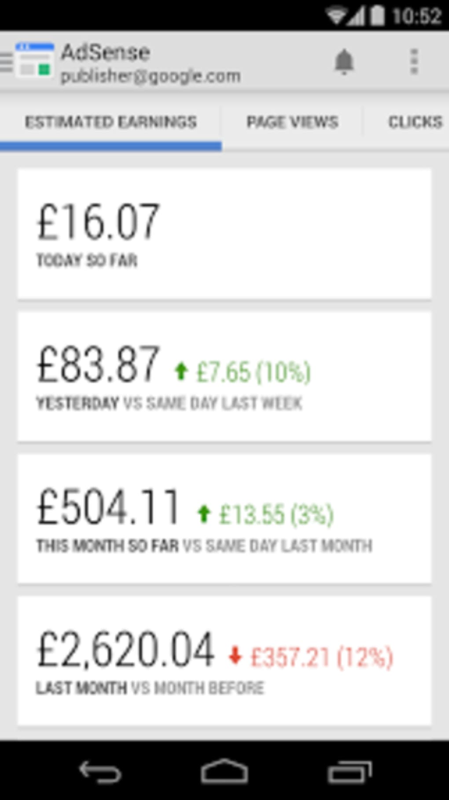 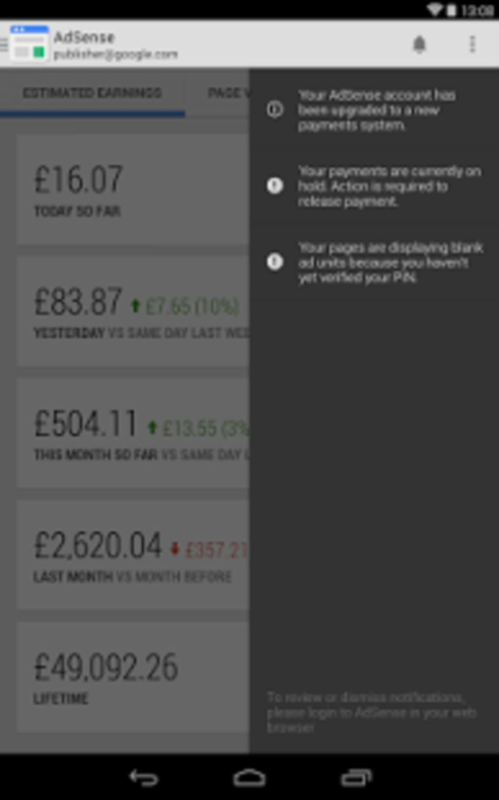 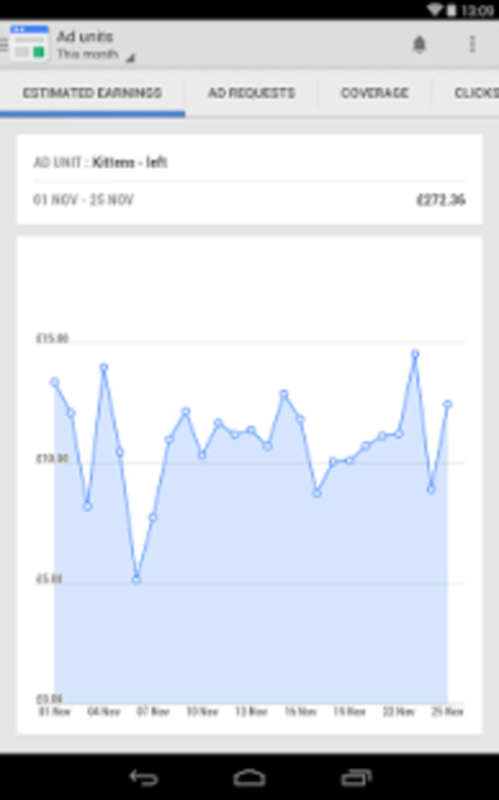 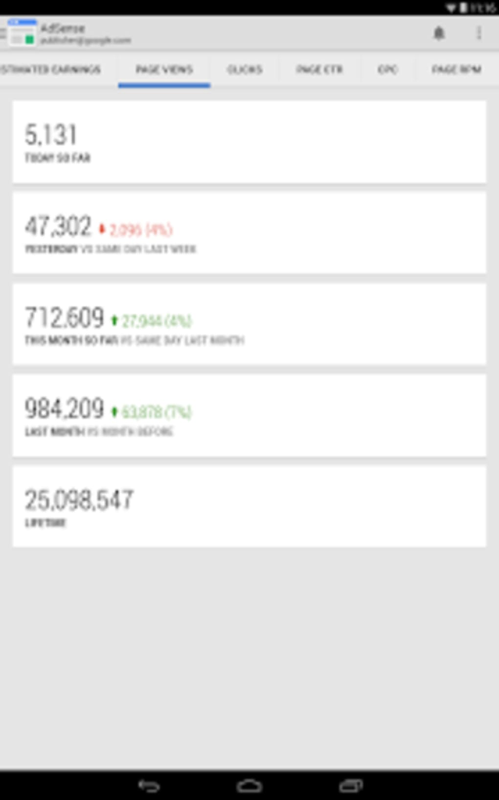 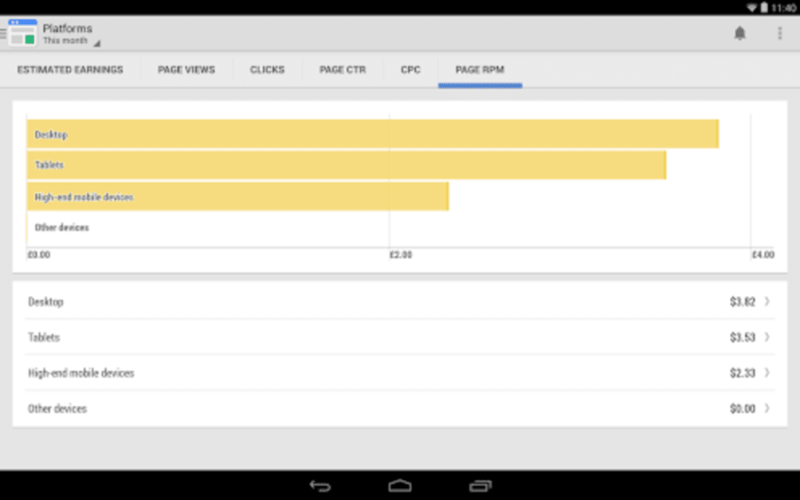 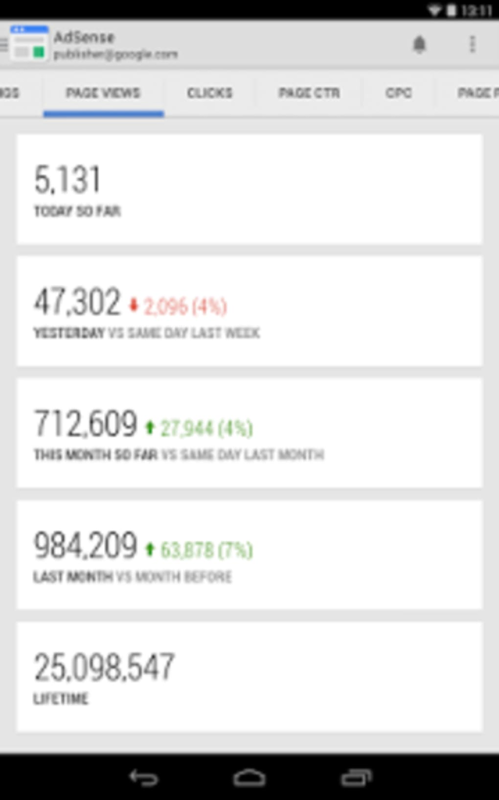 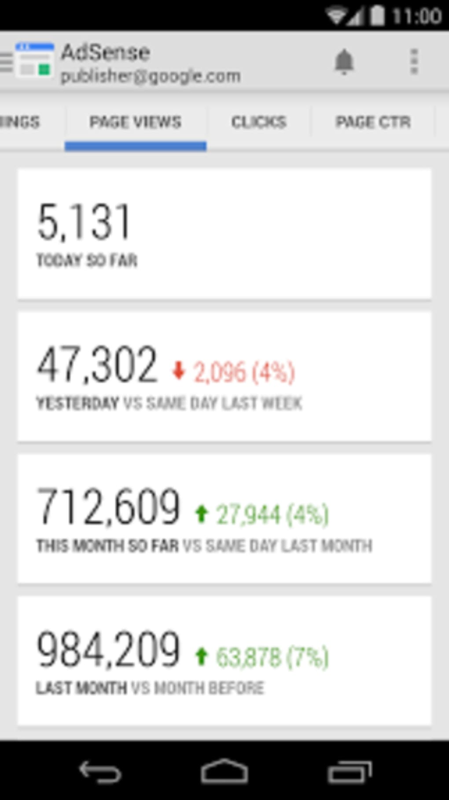 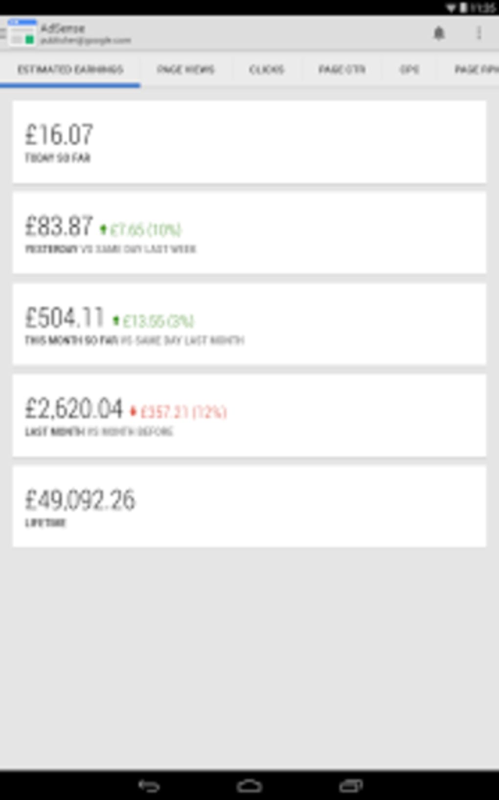 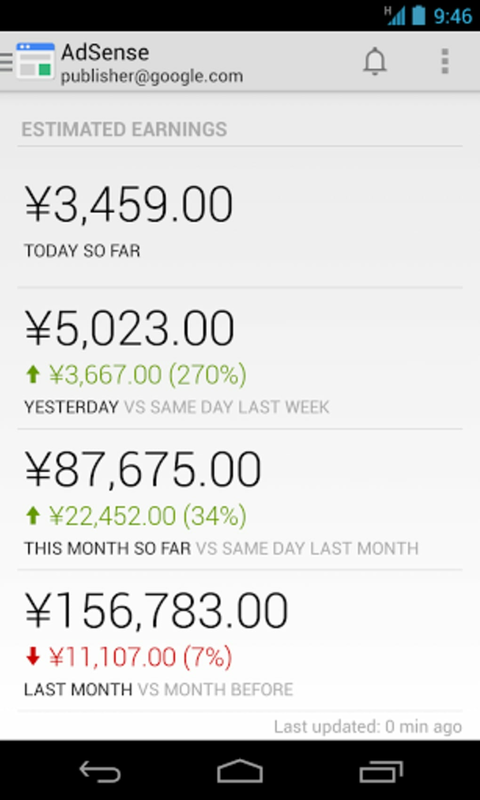 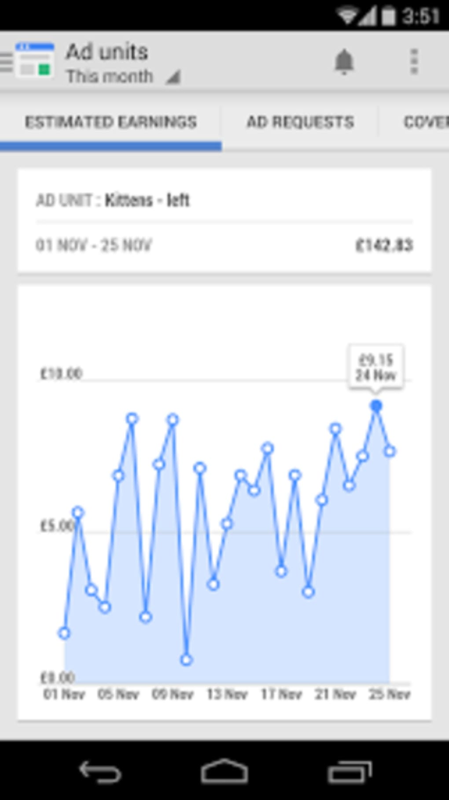 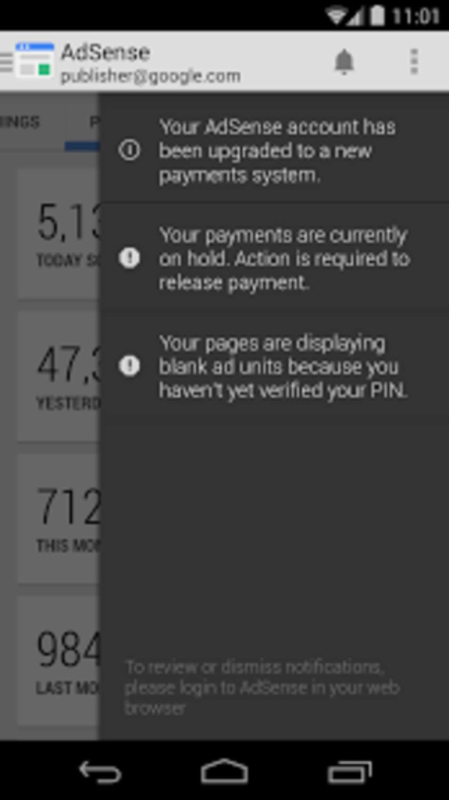 The home screen of Google AdSense for Android provides a summary report of your earnings. 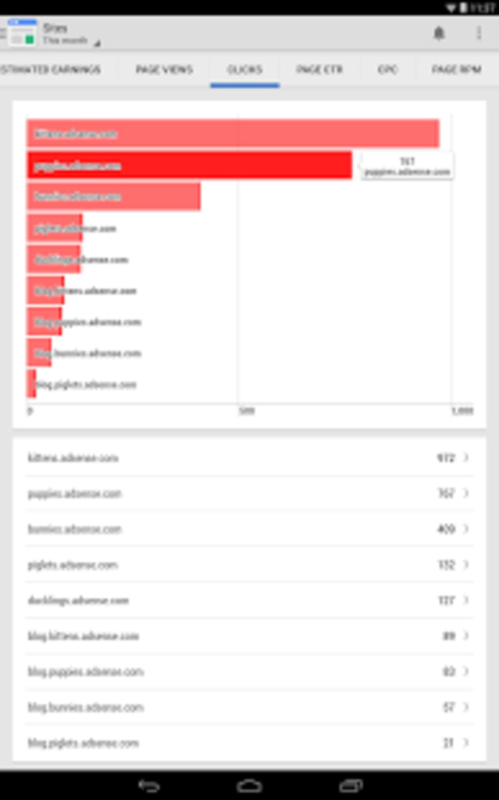 Among the data, you can see an estimate of the day's income. 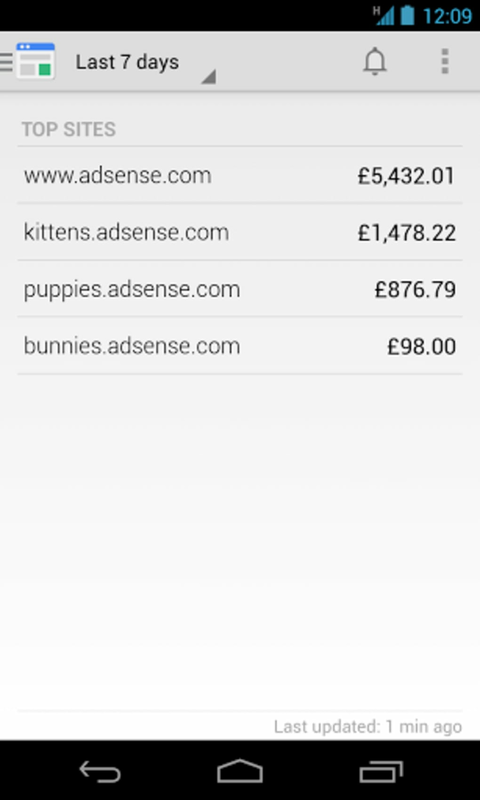 Although the app is quite simple to use, there is a help section where you can read about using Google AdSense. 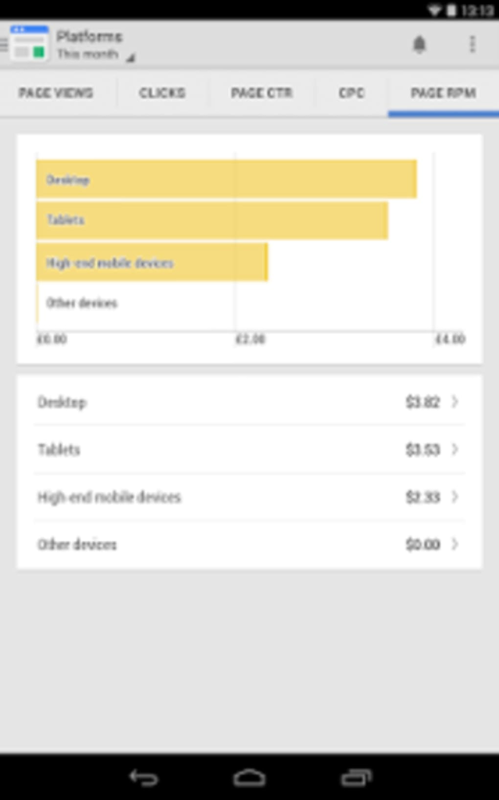 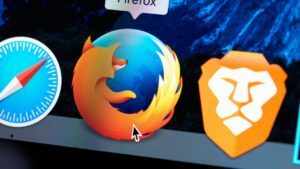 Although it lacks many of the operational functions of the web-based Google AdSense, the app is useful if you are looking for a way to stay up-to-date on your advertising revenue. 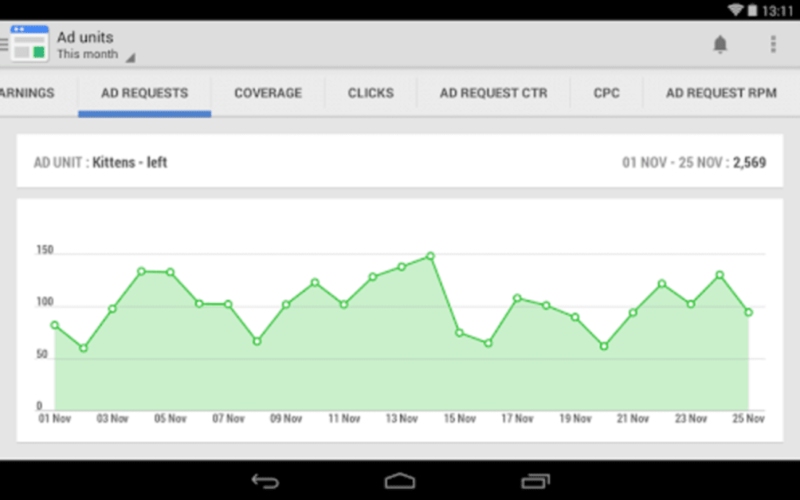 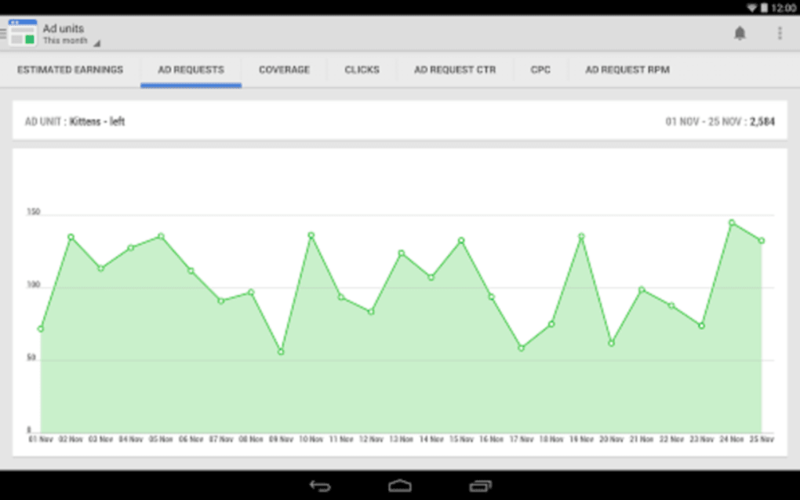 Google AdSense for Android is a good way to have your advertising revenue information at hand. 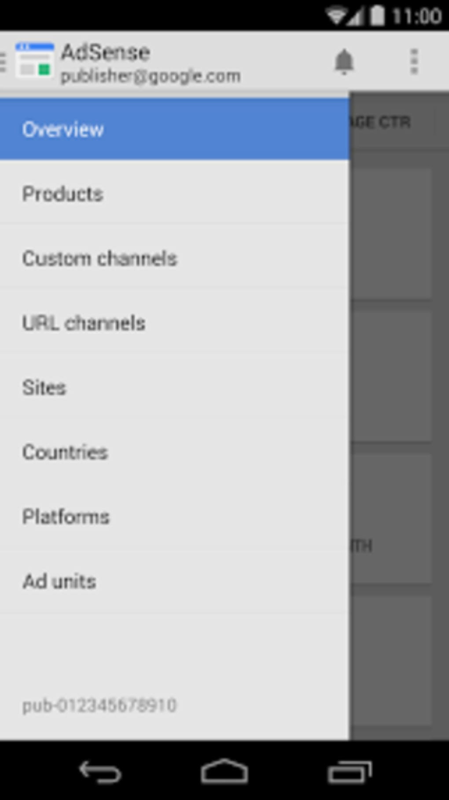 Supporting top websites and URLs with a simple and clear presentation, Google AdSense for Android is a good option if you want to have your data available instantly. 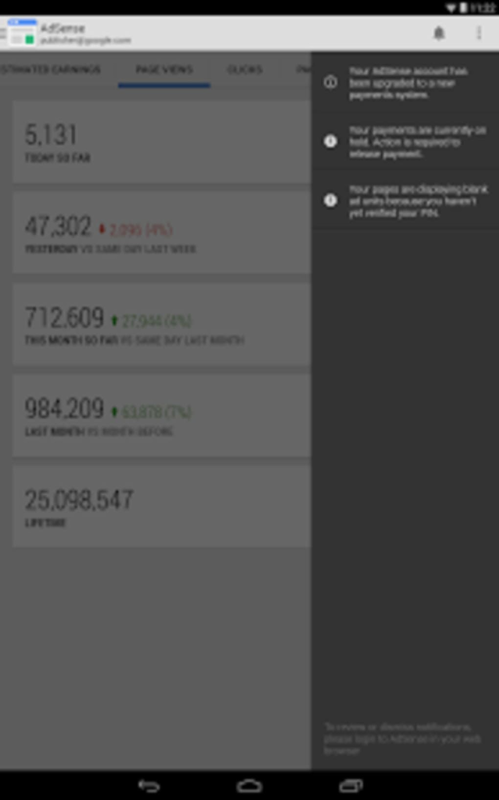 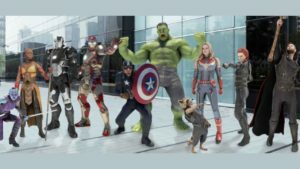 A free program for Android, by Doist.